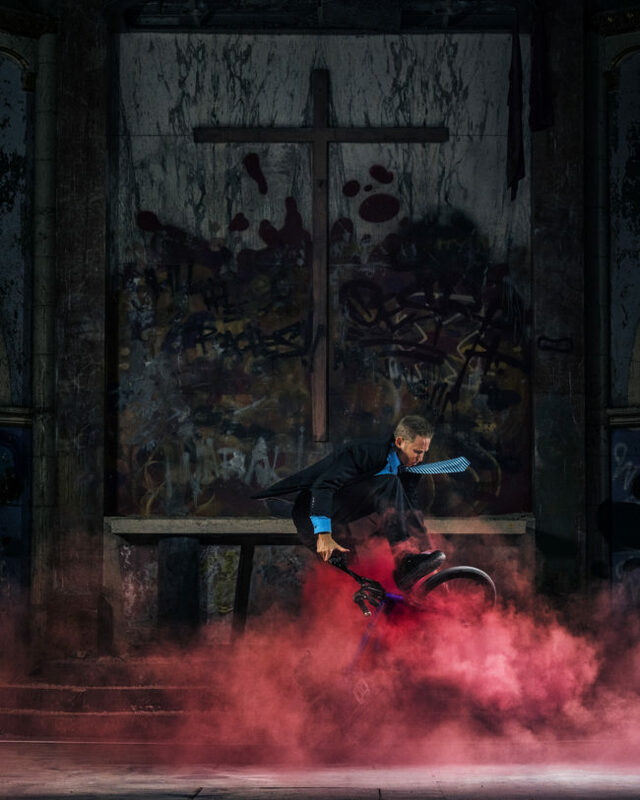 When looking at the landscape of BMX photography, I noticed some trends regarding wardrobe and location. Most riders seemed to be wearing jeans and a t-shirt, and were shot in street or skate park environments. As I set out to make Church with Matt Wilhelm, I wanted to take on the challenge of breaking these conventional molds. I started with the wardrobe and decided that a suit would be very different from anything I had seen. But in order for that to make sense, we needed a location where you would actually wear a suit, which is why I chose a church. 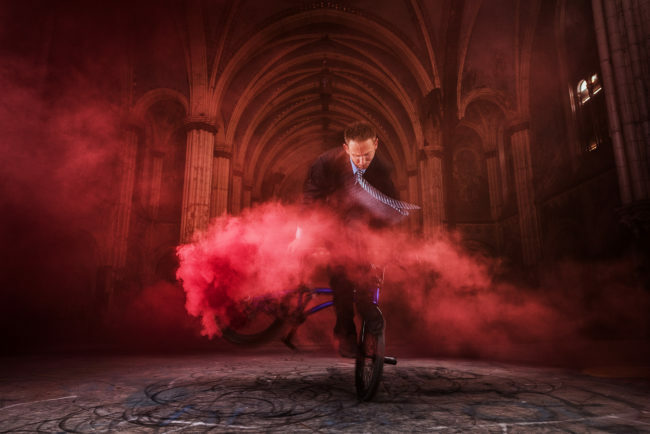 Using an abandoned church seemed to fit the spirit of BMX and also allowed us to add one more final flourish to the series: smoke bombs. 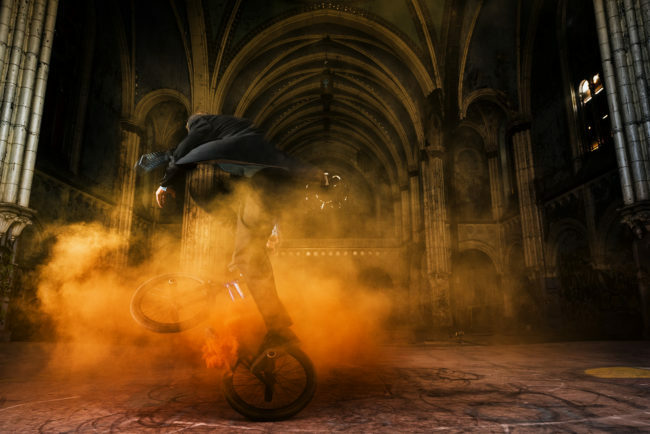 By strapping these to his bike and placing them in the environment, we were able to achieve some very unique and beautiful effects that were challenging at times, but worth the extra effort. APE contributor Suzanne Sease currently works as a consultant for photographers and illustrators around the world. She has been involved in the photography and illustration industry since the mid 80s. After establishing the art-buying department at The Martin Agency, then working for Kaplan-Thaler, Capital One, Best Buy and numerous smaller agencies and companies, she decided to be a consultant in 1999. She has a new Twitter feed with helpful marketing information because she believes that marketing should be driven by brand and not by specialty. Follow her at @SuzanneSease. Amazing your creative vision, it’s so beautiful, I loved your work, it’s different from what I’ve seen.